The endless stretches of palm oil plantations may please the eye of cultivators but they have been ecological disasters in Sabah. Across much of Malaysia plantations have replaced once thriving thick forests with monotonous ranks of cultivated palms where few wild species can survive. It turns out, however, that there is another species of wild animal that is adopting well to palm oil-scarred landscapes better: Bornean bearded pigs. 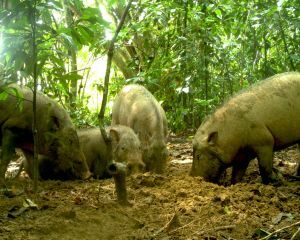 According to a study by conducted by the Sabah Wildlife Department together with the Danau Girang Field Centre (DGFC) and published in the journal Wildlife Research, the wild pigs are increasingly treating cultivated areas as part of their new habitats. That said, the animals continue to prefer fragmented adjacent forests in the region of the Lower Kinabatangan Wildlife Sanctuary for wallowing and nesting. 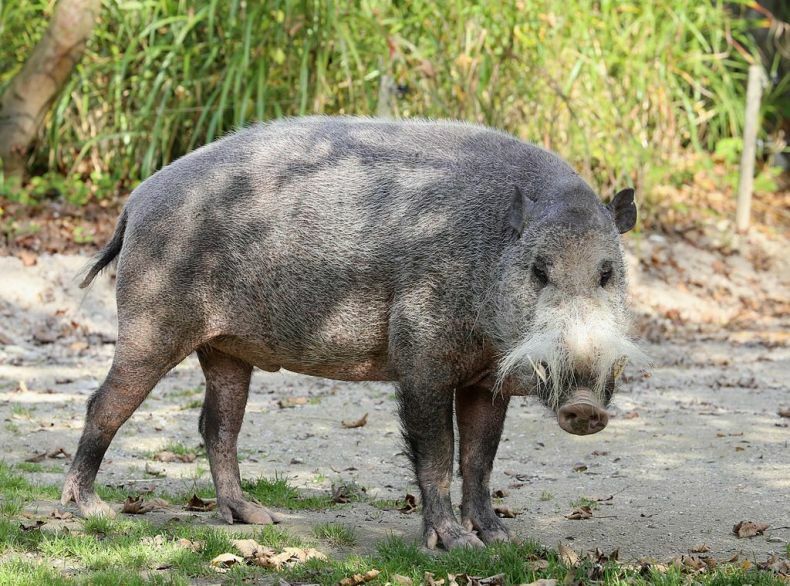 Bearded pigs (Sus barbatus), which are so named for the flamboyant tufts of facial hair along their elongated snouts, are considered “vulnerable” in Sabah and can be hunted only with a license. Their populations in Peninsular Malaysia have plummeted over the past half century as a result of habitat loss fuelled by the spread of palm oil plantations that have taken the place of most forests. In Borneo, the pigs have fared somewhat better, but they remain at risk there too.